When sports retail giant Nike acquired Converse back in 2003, any average joe on the street could’ve guessed why: to cash in on and help expand an iconic canvas-and-rubber round-toe sneaker known as the Chuck Taylor All Star. And in the years since, slowly but surely, the All Star has seen new iteration upon new iteration. 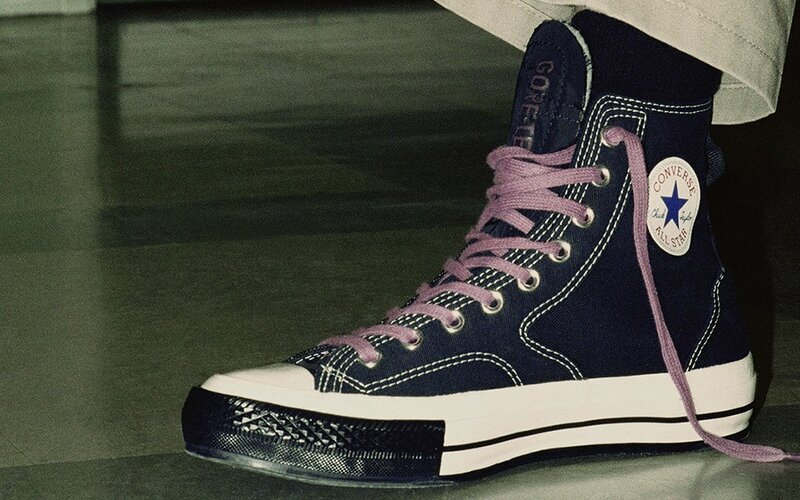 Nowadays it seems like Converse releases new styles every other month: half to keep up with the competitive sneaker market, half hoping one just sticks. This week sees another attempt to revamp the iconic shoe for a new generation, and it may be the most promising to date. 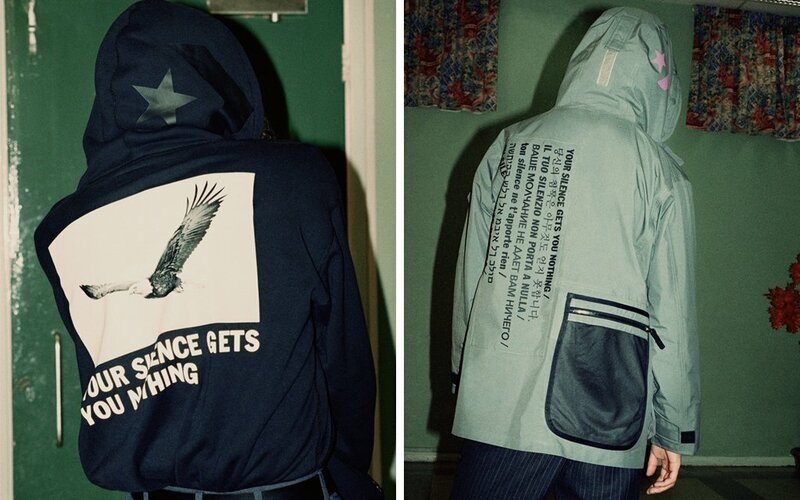 Along with Italian streetwear clothing company Slam Jam and artist Cali Thornhill Dewitt, Converse has teased its new “Urban Utility” venture, a streetwear-leaning collection of city-friendly knitwear, outerwear and sneakers. 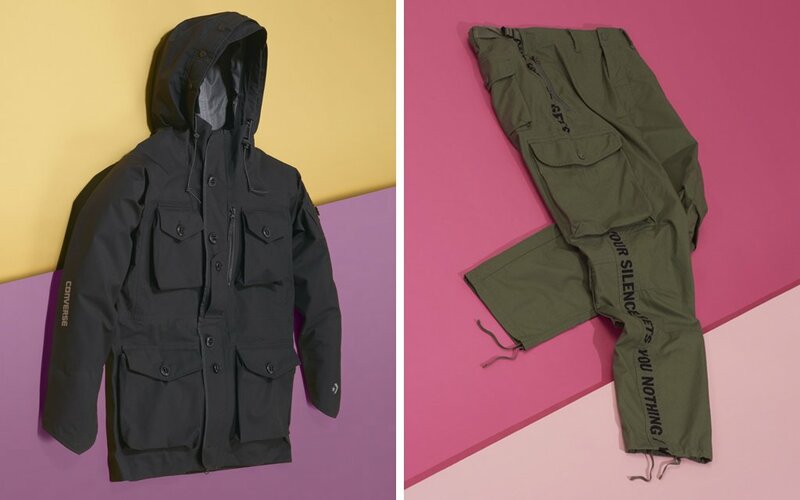 As GQ notes, the new collection can be best described as Converse’s version of NikeLab ACG, which is to say, a step into outdoor-focused apparel with tech-forward fabrics and cuts. Perhaps the best example is the line’s remake of the Chuck Taylor into waterproof “hiker sneakers” thanks to a Gore-Tex lining. The new and improved shoe also features metal eyelets and a pull-tab heel, and is available in two colors. Other highlights include outerwear as well as socially conscious long-sleeves (we’re eyeing the purple) that are sure to resonate with the youths. Some items are available now on Slam Jam — otherwise, you’ll have to wait until the full collection drops next month.